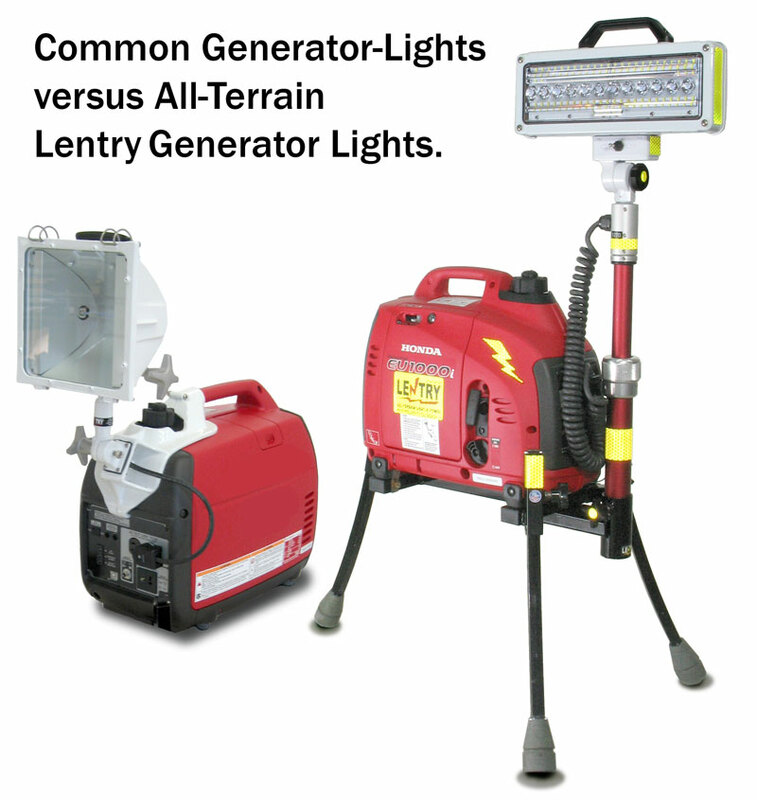 One all-terrain Lentry® Light unit will replace multiple battery-powered and suitcase-style lights. They are close to light towers in their functionality, but closer to light kits in their portability, ease of use, and speed. Before landing here on our website, our customers sometimes find gasoline-powered flashlights, which are Honda generators with lights fixed to the front of the generator, as shown in the photo, left side. They may also have seen inflatable lights and balloon lights or balloon towers, all of which are used as portable lighting. Those light kits and light variations are well known in firefighting and first response circles; however, they are severely limited in how large an area they can light, their placement, their aiming, and their ability to work in dynamic and adverse conditions. They tend to light the ground near your feet OK, or beam light into the sky or your eyes. They tend to be OK as long as the ground is flat, there is pavement on which to set it up, and no obstacles exist. 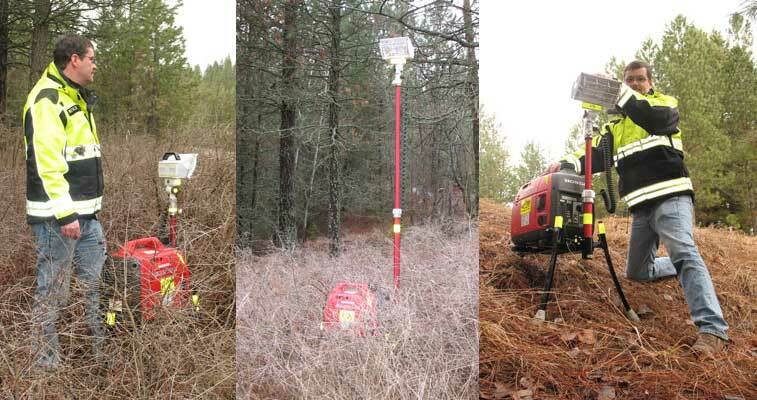 How well do common lighting systems work off-road, in dense brush, or on steep hills? These generator-mounted on-the-ground light kits and inflatable lights are also rendered useless by common obstacles: Where do you put them in 3-foot tall grass? On a steep bank? In standing water? When there is no flat ground? Must a crew member stand there holding and aiming the 30-pound flashlight? Lentry Lights overcome these and other obstacles by having individually adjustable legs and telescoping lights, which greatly increase function, value and versatility.